Our best selling suncare product. 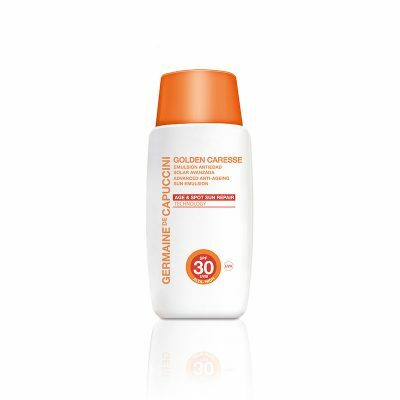 Enhances and prolongs your tan safely and naturally. One you use this product – you will never be without it before a holiday!! It is just so effective! The 48 Hour Tan Activating Emulsion is a completely safe and natural way to enhance your tan, without having to spend hours in the sun. Ideal for use on short weekends away or longer holidays, You will develop a deeper and longer lasting tan more quickly than usual. Using 48 Hour Tan Activator 2 days before your holiday, activates the melanin synthesis in your skin preparing it before sun exposure. As soon as the UV rays come into contact with the skin, the tanning process begins immediately. Even if there's only a little sun. Tyrosine - Activates natural tanning process when applied 48 hours before sun exposure. Pisum Sativum plant extract: Increases the skin's natural protection and intensifies a tanned tone during sun exposure, prolongs tanning after sun exposure. Absolutely. Once on holiday, continue using Tan Activator in the evening after showering, then use your sun protection during the day as usual. Start applying Tan Activator morning and evening, 2 days before you holiday. 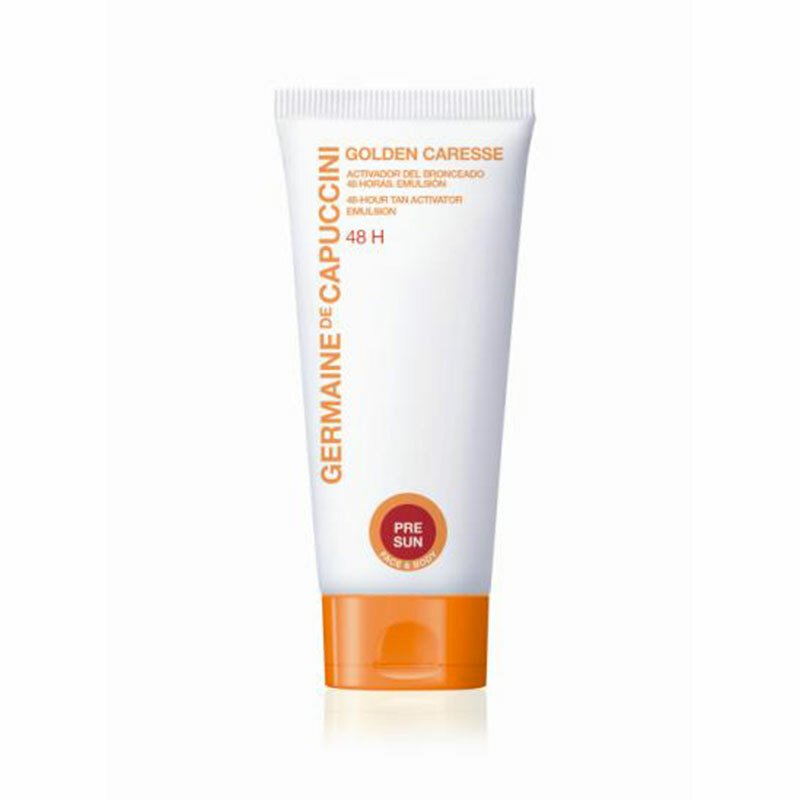 Once on holiday continue to use once after showering in the evening to continue extending the tan and prevent peeling. Can be used on the face or body. Aqua (Water), Glycerin, Ethylhexyl Methoxycinnamate, Pentylene Glycol, Butyrospermum Parkii (Shea Butter) Extract, Octocrylene, Butylene Glycol Dicaprylate/Dicaprate, Laureth-23, Persea Gratissima (Avocado) Oil, Zea Mays (Corn) Germ Oil, Hydrolyzed Vegetable Protein, Bixa Orellana Seed Extract, Glycine Soja (Soybean) Oil, Pisum Sativum (Pea) Extract, Polyglyceryl-3 Beeswax, Caprylic/Capric Triglyceride, Adenosine Triphosphate, Acetyl Tyrosine, Bis-Ethylhexyloxyphenol Methoxyphenyl Triazine, Palmitic Acid, Stearic Acid, Butyl Methoxydibenzoylmethane, Cetyl Alcohol, PEG-100 Stearate, Glyceryl Stearate, Glyceryl Polyacrylate, Rosmarinus Officinalis (Rosemary) Leaf Oil, Helianthus Annuus (Sunflower) Seed Oil, Butylene Glycol, Ethylhexylglycerin, Carbomer, Triethanolamine, o-Cymen-5-ol, Phenoxyethanol, Parfum (Fragrance). This has to be the first sun preparation in your suitcases- can’t go on holiday without it. I buy this every year before going on holiday- as long as you apply it a couple of days before going,and then use it daily whilst on holiday the tan is amazing - within a week, I look like I have been away for a month! I bought this as a present for my friend's birthday - she loves it and can't believe a product can make such a difference to keeping that tanned look. Repeat purchase as just works! buy it three times a year!